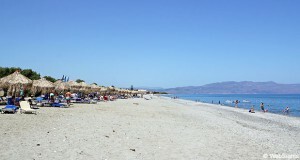 Maleme is a small holiday resort on the very popular Chania Coast in Crete. 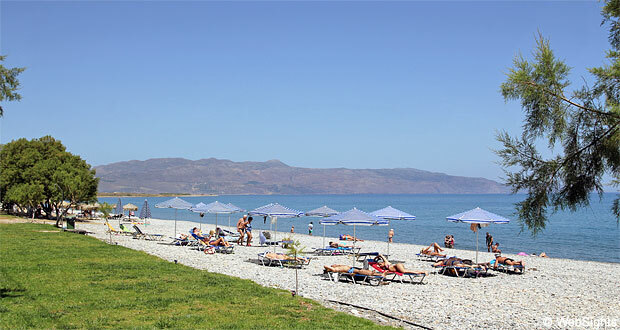 The largest and most popular hotel in Maleme is the 4-star Hotel Louis Creta Princess. A wonderful family hotel with all inclusive and a large pool area with water slides and plenty of activities. The beach in Maleme is very peaceful and quiet. The beach is beautifully situated with the mountains on the Rodopou peninsula to the left and the small island Agii Theodori further to the east. The beach is covered with pebbles, but in some of the sections with sun lounges, a layer of golden sand has been applied. The water is clear and usually calm. During the high season, the beach is supervised by a lifeguard. Behind the beach, there are some green areas with grass and stone pines and a bit further away, you will find some restaurants and a few shops. The beach has quite many rocks and relatively deep water, which makes it less suitable for children. However, a pair of bathing shoes will usually do the trick and there are hardly ever any big waves. There are no water sports activities at the beach. Behind the beach, there is a fine selection of restaurants. Many of them are very nice and they have a view of the beach and the sea. This also applies to the users’ favourite, The Wave. Just like the area around the beach, holiday life in Maleme town is very relaxed. 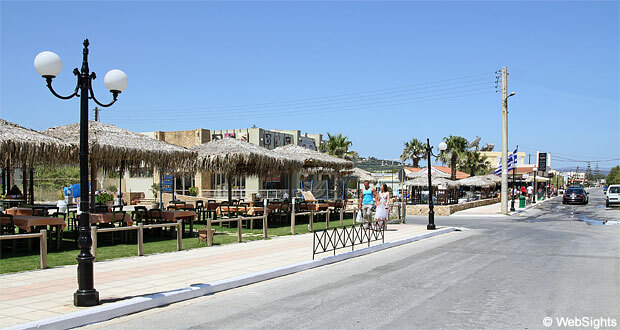 Along the main road through town, you will find the traditional tavernas, tourist shops, a pharmacy and a big supermarket. 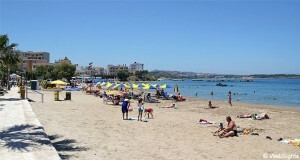 If a wider selection is required, there are several busses to Platanias and Chania every day. Maleme played a big role during the Second World War. Thousands of German paratroopers landed on the beach in 1941 and took control of the strategically important airport in the town. Several thousand of the soldiers that were killed are buried in a very well-kept cemetery about one kilometre southwest of the town. 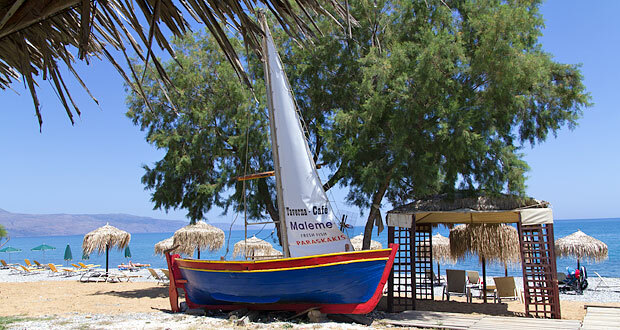 Maleme is one of the holiday resorts farthest to the east on the Chania Coast. 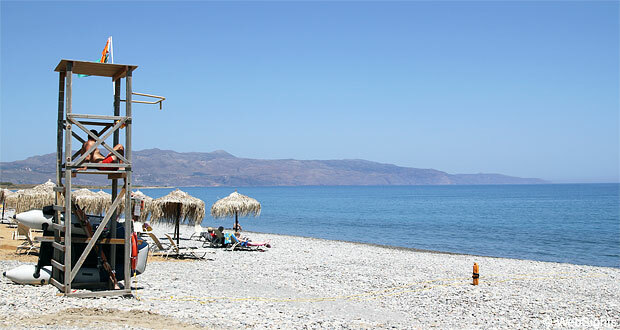 To the west, you will find the larger holiday resorts Platanias and Agia Marina. To the east, you will find Kolymvari.